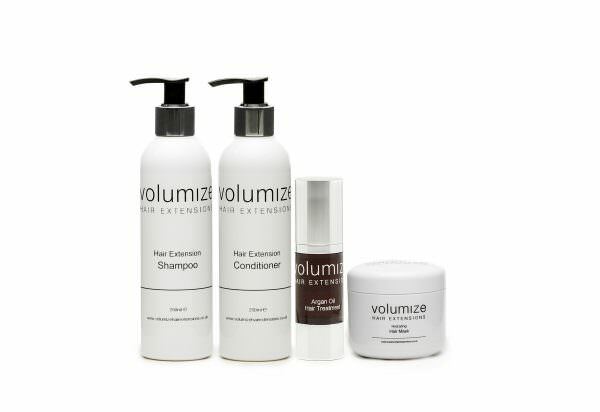 The Ultimate Aftercare Set includes Volumize Shampoo 250ml, Volumize Conditioner 250ml, Volumize Argan oil 30ml and Volumize Hyrdrating hair mask 100ml. Our Aftercare range has been designed to maintain healthy hair extensions and use of our aftercare products will ensure longevity of the hair. Our Shampoo and Conditioner is Sodium Chloride, SLS, Paraben and Fragrance FREE.